Prominent & Leading Manufacturer from Faridabad, we offer clothes drying stand. With the aid and support of our diligent team members, we have been consistently offering an optimum quality gamut of Cloth Drying Stand. 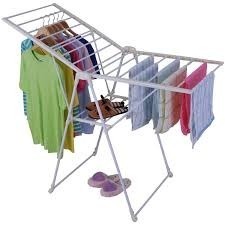 The offered floor stand is extensively used for the purpose of drying clothes. The stand is made with precision by making use of top grade material and pioneering techniques. It can be availed from us at nominal price range. Looking for Cloth Shelf ?